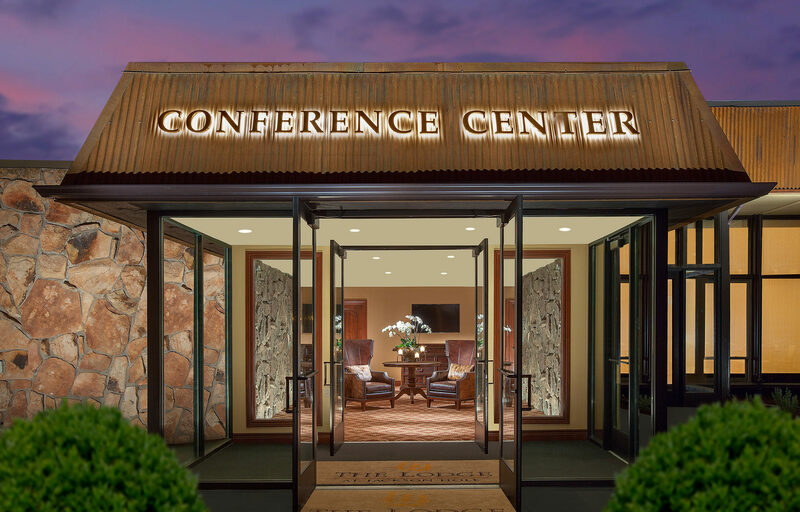 10,000 square feet of versatile event space can be creatively utilized to accommodate even the most demanding agendas. Natural light, enhanced Wi-Fi and individual climate controls set the stage for enhanced meeting productivity. Warm Western hospitality and inviting mountain modern design make hosting your social event a joy. 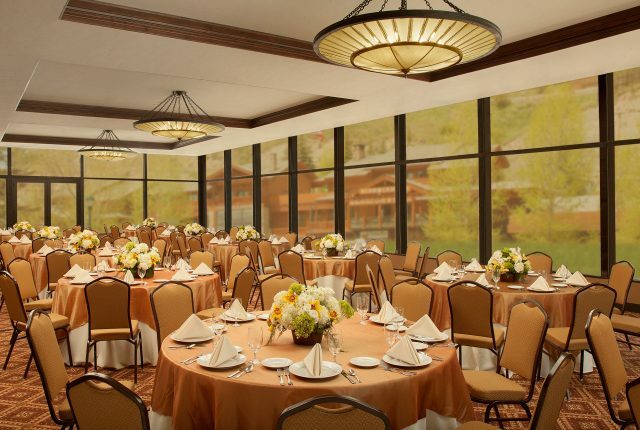 Our largest space at 3,780 square feet, is the perfect venue for banquets, receptions or large presentations. 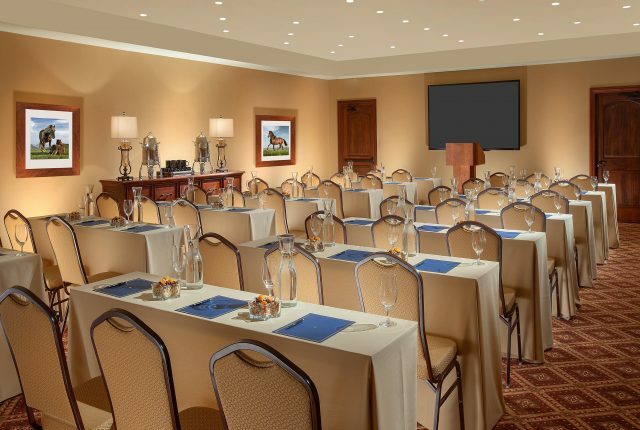 This interior space is perfect for medium-sized meetings, presentations or banquets. 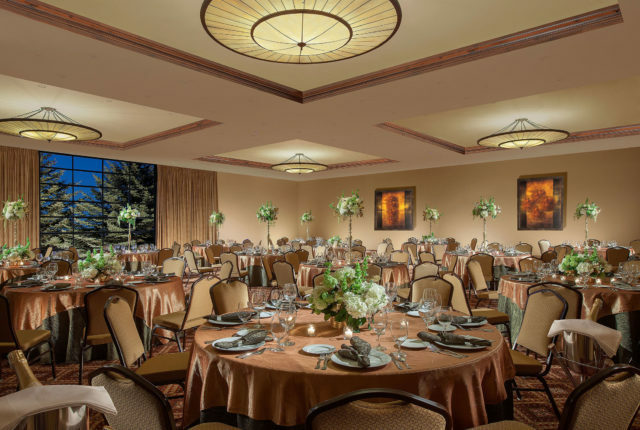 Bright, well-sized room works well for all types of functions. Trade shows, meetings, presentations or any sort of social gathering. 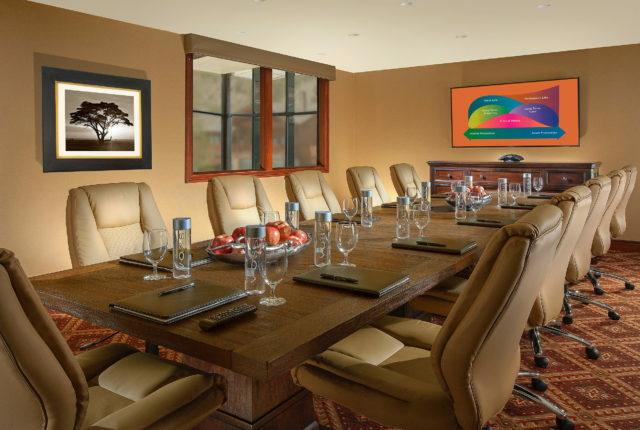 This Executive Boardroom is perfect for intimate meetings, depositions, focus groups or small presentations.  Let our professional staff help you plan an event to remember at the Jackson Hole Conference Center. Fill out the attached RFP and we will respond within the next 24 hours.